A week from today, HTC will be holding a media event. Expected to be the star of the show is the HTC One A9. While this doesn't appear to be the re-designed "Hero" flagship that CEO Cher Wang had promised to stockholders last summer, it still could be an interesting handset nonetheless. 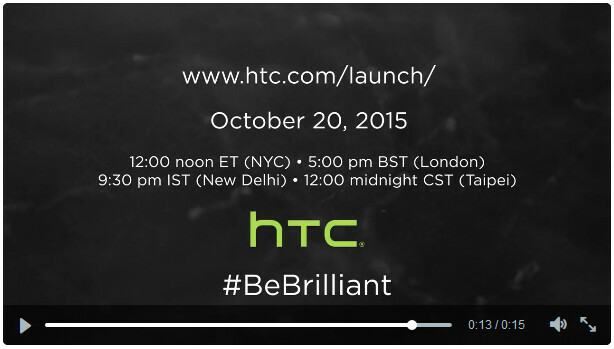 To help promote the event, HTC tweeted a video teaser. The event takes place October 20th at noon time in New York City. That works out to 5pm in London, 9:30pm in New Delhi, and midnight in Taipei. The video itself doesn't give anything away, and runs for only 15 seconds (we told you it was short). You can view the video by clicking on the sourcelink. HTC has been playing this one close to the vest since Cher Wang's original pronouncement. While anything can happen, the latest rumored specs include a 5-inch screen with a resolution of 1080 x 1920. That works out to a 441ppi pixel density. The Snapdragon 617 SoC will be inside, carrying an octa-core CPU and the Adreno 405 GPU. 2GB of RAM is inside, along with 16GB of expandable storage. The rear camera is 13MP and offers OIS, while the front-facing camera is a 4MP Ultrapixel snapper. A 2150mAh battery keeps the phone's heart pumping, and Android 6.0 is pre-installed. The HTC One A9 is reportedly 7mm thick, has a metal body, and will be available in six colors. A fingerprint scanner is included. A week from today, we will know all about the HTC One A9. You should expect to see more leaks as we get closer to the event, so make sure you check in often! HTC introduces the iPhone 6! Nobody even cares about HTC phones anymore. It's just one failure after another. RIP. I still care about HTC phones... and even through all the problems with the 810 i'm still a fan of the m9... htc was one of the last oems that still brought flagship specs in a 5 (ish) inch form factor... not to mention they STILL have my favorite designs... even if some consider them stale i still like it. HTC sealed their own doom when the discontinued QWERTY slider keyboards and removable batteries. HTC should hire you. That was spot on. sd617 is sh!t. hope its sd620 atleast. HTC needs to take on the Note 5, Nexus 6p, iPhone 6+, and LG V10 if they want to stay in this game. It's not just about sales, it's about brand and knowing that HTC has a top tiered phone will move them in a positive direction. 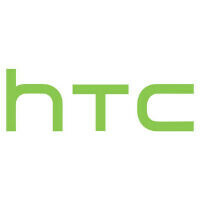 HTC, guess what, no one cares anymore. Rip soon, to be HTC a android pioneer that lost its ways. Nobody thought Motorola screwed with Moto X Play, specs isn't a problem. HTC be like "lets waste more money by holding a media event for a mid-ranger." Htc is trying to do what Samsung did with the Galaxy Alpha with this midranger. Haha don't say that. Which HTC phone do you own?